American Ceramic Supply Company offers great discounts on all Olympic Kilns. Just check out these discounts! You can e-mail us at sales@AmericanCeramics.com if you need any help with technical support, best kilns and/or specific shipping needs. When you buy an Olympic Kiln from American, we help with kiln prep, test fire, cone results and firing schedules. All kilns on this page, except 1214 can ship via UPS! Any FREE SHIPPING is within the continental USA only. TouchScreen to your kiln at order time for ONLY $90.00! Retail - $770.00 Your price - $615.00 FREE UPS ship! 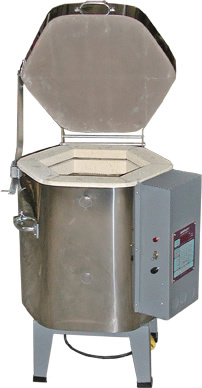 One-year warranty - kiln - 40 lbs., Furn. Kit - 12 lbs. We can process your order securely right over the phone and get your kiln on the way to you! Retail - $795.00 Your price - $635.00 FREE UPS Ship! One-year warranty - Kiln - 50 lbs., Kiln Furn. kit - 12 lbs. Retail - $810.00 Your price - $648.00 FREE UPS Ship! copper wire 12 if within 40 ft. One-year warranty - 55 lbs. Retail - $965.00 Your price - $769.00 FREE UPS Ship! Model - HB89E/120v - copper wire 12 if within 40 ft. One-year warranty - Kiln - 65 lbs. 2 - 6.5” x 6.5” square shelves, 4 each - 1/2, 1, 2 small posts, 1 lb. kiln wash - 12 lbs. Olympic Kiln - Doll - Test kiln with 12 key controller and furniture kit! Retail - $1092.00 Your price - $873.00 FREE UPS Ship! 15 Amps, 20 Breaker, NEMA 5-15, copper wire 12 if within 40 ft. One-year warranty - Kiln - 60 lbs. 2 - 10” x 6” oval shelves, 4 each - 1/2, 1, 2, small posts, 1 lb. kiln wash - 12 lbs. Two-year warranty - 99 lbs. 2 - 10” round shelves, 3 each 1” - 6” small posts, 1 lb. kiln wash - 20 lbs. Outside dimensions: 24” x 26.5”.